All editions are beautifully designed and are printed to superior specifications; some include illustrations of historical interest. Barnes & Noble Classics pulls together a constellation of influencesbiographical, historical, and literaryto enrich each reader's understanding of these enduring works.Peter Pan first flew across a London stage in 1904, overwhelming audiences with its tale of a magical boy who never grows up, who lures young Wendy and her brothers to Neverland where they meet pirates, Indians, fairies, and the Lost Boys. 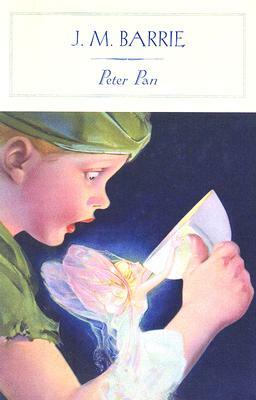 Following the play's astonishing success, J. M. Barrie revised and expanded the story and published it as this novel, originally titled Peter and Wendy when it appeared in 1911. For children, it remains a marvelous mix of fantasy and adventure, featuring unique, imaginative characters, who frisk and frolic in an enchanting land. For adults, the story of Peter and the Lost Boys works on a much deeper level, speaking to them about the inevitable loss of childhood and the ability to fly. The climactic duel between the proud and insolent youth (Peter Pan) and the dark and sinister man (Captain Hook) is both a swashbuckling romp and a moving metaphor for the complex, poignant struggle between innocent but irresponsible youth and tainted but dependable maturity. Neither side wins, for the one inevitably becomes the other. Of course, the ageless Peter Pan is the happy exception.Amy Billone teaches at the University of Tennessee, Knoxville. She received her Ph.D. in Comparative Literature at Princeton University, where she wrote her dissertation on women's involvement with the nineteenth-century sonnet.